Are all hotel concierges liars? Well, I don’t mean to sound so cynical, but it seems every 4 and 5 star hotel we stay at, the concierge is in such a rush to recommend overpriced restaurants, unauthentic local attractions, and in general they seem almost put off by our requests for assistance. I’m not being difficult – I have friends who have had similar experiences. Do we just have back luck? Wait, Amilia, I hope you don’t shun all of them because of a few bad experiences! What caught my eye in your letter was the mention of this happening at four or five star hotels. At this level of luxury, many of the guests may have high (yes, you can read “stuffy“) expectations for recommendations. They want top shelf restaurants, shops, and attractions. 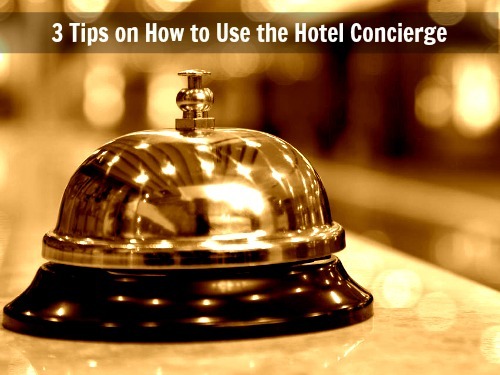 The concierge working in these hotels probably has a nice contact list at these places. The more people he sends their way, the more his name is known in that business. His ultimate goal is to be a prominent figure within these upper-level circles. Make sense? ← How Do I Budget for Extra Hotel Fees?